Three Torah scrolls this Shabbat: One for the regular weekly reading, Miketz; one for the 6th day of Chanukah; and one for Shabbat Rosh Hodesh, the beginning of the month of Tevet. Other additions: Hallel (Ps. 113-118), a special prayer for Chanukah, maybe another psalm or so…You get the idea. 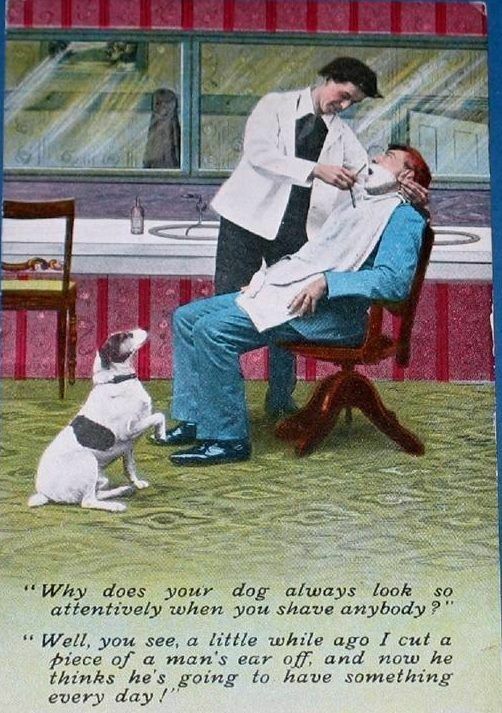 Long service. Back to the Joseph story, part 2 of four. Pharaoh dreams of 7 emaciated cows swallowing fat ones, yet remaining thin. Then he dreams of 7 withered ears of grain swallowing 7 full ears yet remaining withered. The chief wine steward tells Pharaoh about Joseph. After getting a shave, bath, and decent clothes, Joseph accurately interprets the dreams as meaning 7 years of plenty and 7subsequent years of famine and outlines a plan for minimizing the effects of the famine. Pharaoh, impressed, puts Joseph in charge as Viceroy, second only to him. Joseph becomes Zaphenat-Paneah, dresses like an Egyptian, and marries an Egyptian woman, with whom he has two sons, Ephraim and Manasseh. Back in Canaan, Jacob is still very much in charge and his sons seem, frankly pathetic in their dependence. They are also haunted by what they did to Joseph. Two years into the famine, the 10 oldest brothers come to Egypt to buy food. Recognizing them, Joseph decides to test them (this reads sort of like a cat “testing” a mouse) and holds Shimon hostage, while secretly returning their money, until they return with Benjamin. Jacob finally lets them return, with some diplomatic gifts, the money, and Benjamin. After a lovely visit, Joseph plants his silver divining chalice in Benjamin’s sack. Cliffhanger: Will the brothers try to save Benjamin and prevent more paternal heartbreak? Or will they leave Benjamin in Egypt as Joseph’s slave? 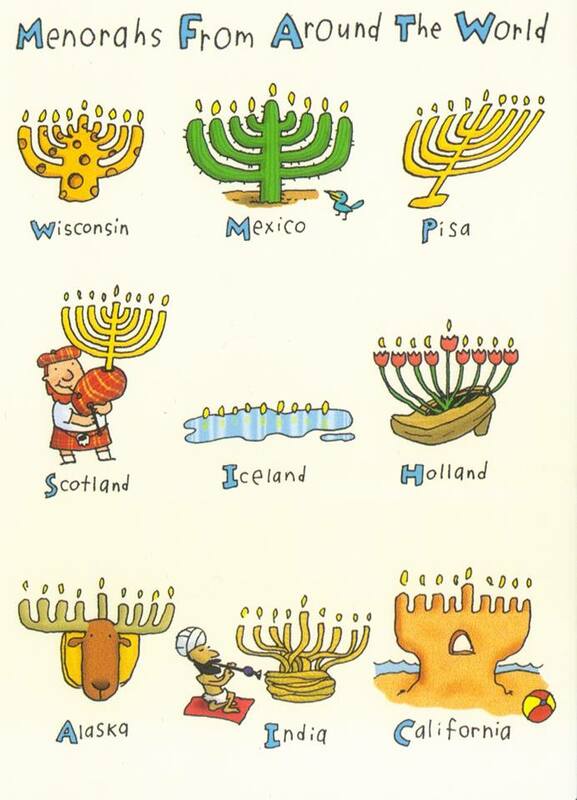 “Originally, Hanukkah was a nationalistic celebration of the Maccabees’ military victory over the armies of King Antiochus IV of the Seleucid Empire. It celebrated Israel’s return to sovereignty under the rule of the Hasmonean Dynasty. 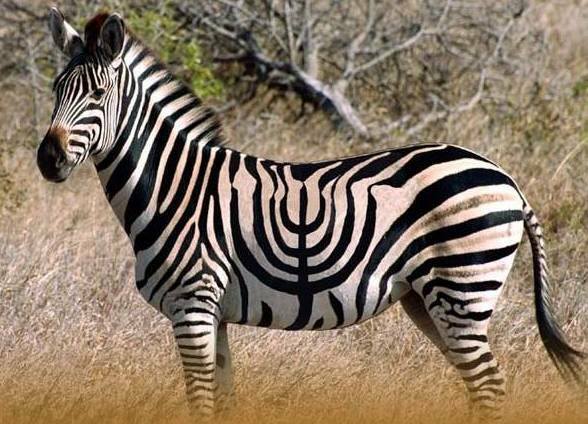 “The rabbis of Talmud were the first to redefine Hanukkah. They downplayed the story of military victory and promoted Hanukkah as a celebration of God’s power (not the power of the cruel Hasmoneans, whom they hated). They promoted a story about a miracle – one involving a cruse of oil – that occurred when the Temple was rededicated at the end of the Maccabees’ war. What occurred was a nasty civil war between assimilationist Jews who were happily adopting Greek practices and religiously zealous Jews who thought the assimilationists went way too far. Similarly, Joseph is faced with issues about assimilation. He is very visible in Egypt. He dresses and acts like an Egyptian, yet maintains his Hebrew identity and will later ask that his bones be carried back to Canaan. Over the next few weeks, we’ll get to see how Jacob and his sons adapt to Egypt. A: It kept on repeating OOOOMMM! Q: Why doesn’t Sweden import cattle? A: They have a good Stockholm. When archaeologists sift through the debris of a vanished culture, they should consider the ancient climate. It can shed light on the bygone habitat and give plausibility to old myths. It can also give a useful perspective on our own climatically uncertain times. Take the biblical tale of Joseph. The famous seven-year cycle of feast and famine appears to be one of Egypt’s regular routines, according to Dmitri Kondrashov, Yizhak Feliks, and Michael Ghil at the University of California at Los Angeles. The ancient Mayans on the Yucatan Peninsula could have used such wisdom. Their once-flourishing civilization collapsed between AD 750 and 950. Many archaeologists suspect that prolonged drought was the precipitating cause. 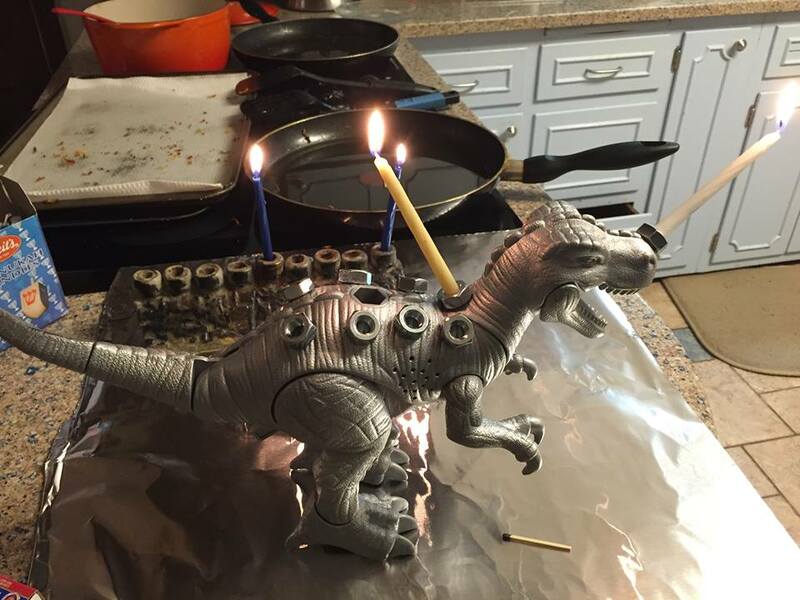 See also http://lolsnaps.com/funny/150552/menorahsaurus-rex , https://www.etsy.com/listing/206775172/dinosaur-menorah-menorahsaurus, and, for do-it-yourself-ers, https://www.youtube.com/watch?v=rgTqGyioZ4w. Yes, I know the current term for the special nine-branched candelabrum used for Chanukah is chanukiah, חַנֻכִּיָּה , as opposed to the 7-branched menorah used in the Temple; but it is also called מנורת חנוכה menorat chanukah, i.e., Chanukah menorah. The Chanukah menorahs below have been posted at several websites. This entry was posted in Uncategorized and tagged assimilation, Benjamin, Chanukah, dreams, Genesis, Jacob, Joseph, Joseph's brothers, menorah, Pharaoh, Rosh Hodesh, seven years of famine, seven years of plenty, Zaphenat-Paneah, Zechariah. Bookmark the permalink.